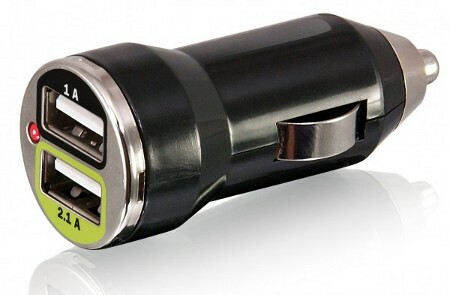 Most devices these days have a USB port, and it goes without saying that this also means a USB charger is in order to keep said device juiced up at all times. Of course, finding a USB port wherever you are is definitely harder than looking for the ordinary, standard issue power outlet – after all, it isn’t as though all power outlets have a dedicated USB port crammed in at the moment, although we do wish it were otherwise. Bracketron has every intention to make sure that no matter where you go, especially if you’re a heavy road user, will be able to keep your USB-powered devices juiced up before you arrive at your destination, and it does so in style with the Dual USB Charger. As with many other heavy duty electronic devices in your vehicle that need power, the 12V cigarette lighter port is taken advantage of. Sure, you lose your car’s lighter in the process, but that’s a small price to pay to make sure your phone’s all juiced up for that important meeting in an hour’s time. Wanna smoke? Carry a Zippo lighter with you then. 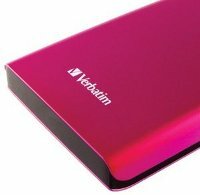 When it comes to portable storage, you can be sure that Verbatim ranks pretty high up there – and one of the company’s latest releases, the Verbatim SuperSpeed USB 3.0 portable hard drive, will now be available in a couple of eye-popping colors – Caribbean Blue and Hot Pink. What a great way to usher in the summer with such vibrant, bright colors, no? I am guessing that Verbatim wants to deliver both style and function in a single device, hence splashing a couple of colors that normally don’t see the light of day in portable hard drives. As for the amount of storage space, you might want to rethink all those downloads you make – after all, 500GB isn’t that much to go around these days. Good thing it is connected via USB 3.0, so make sure your computer has such a port to make full use of it. Transferring 500GB worth of data over USB 3.0 is going to be a snap, and with the ability to reliably back-up and transfer files anytime, anywhere, this might just be what you are looking for. Do you remember back when having a cellular phone was cool? This was back before everyone had them. If you are going for a more unique look, you could go with this Secret Agent Phone Holder. It is worn like a real FBI-style holster, around the shoulder and across the back. You could definitely look like some sort of cop or cool officer of the law like the the guy in the picture. The handlebar mustache is actually included, that is self-adhesive for the 70’s Starsky and Hutch appeal. I don’t know if the app to create a badge is included. I’m sure you’re probably familiar with Namco, creators of such great games like Time Crisis. If you never played that game, it involved the use of a light gun to shoot opponents. Time Crisis has just been put on the iPad 2 and Mac computers, with the name of a Time Crisis 2nd Strike HD. Namco has sweetened the deal by giving out a free app for the iPhone that can pair with the iPad or Mac. In other words, it turns the iPhone into a light gun. The app allows you to shoot with a variety of sounds like a handgun, machine gun, shotgun, and a grenade launcher. I’ve seen some products from iLuv before, and the iMM514 ArtStation Pro is good for turning an iPad into a home theater. As you can see, the iPad is mounted in an articulated swiveling arm so you can position it at whatever angle you want, in landscape or portrait mode. In case you are wondering why there is such a big base, it is because it has a huge stereo speaker. In other words, this base has bass. There is also a wireless remote for volume and skipping tracks, and it looks like there are some controls on the base for when you lose the remote.